Post-extraction healing of the socket may take up to 24 weeks to complete. This systematic review aims to evaluate whether photobiomodulation accelerates bone healing in those sockets. A search strategy was developed in line with the Preferred Reporting Items for Systematic Reviews and Meta-Analyses (PRISMA) statement. PubMed, Cochrane Library, and Scopus electronic databases were searched for in vivo studies with restrictions on the year (< 50 years old) and language (English). After applying the inclusion criteria, ten studies were selected for review. Test subjects included humans (3), rats (5), and rabbits (2), either healthy or with specified systemic condition(s). 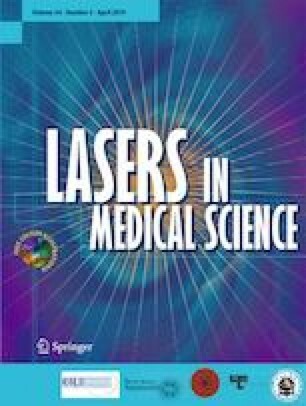 Laser parameters applied varied between studies significantly. Six studies measured bone density or bone trabeculae percentage, while remaining studies measured secondary outcome measures such as osteogenesis markers, patient’s self-reported pain scores, and clinical epithelial regeneration. No side effects of photobiomodulation have been reported. Higher concentration of osteogenesis markers Ocn and Runx2 were consistently reported across studies, as well as higher percentage of bony trabeculae and bone density. Within the limitations of this review, improvement in bone repair can be found when using photobiomodulation in extraction sockets.